The Hurst Boiler website, your one stop for all things boiler, now includes our new, user-friendly online CAD download solution, featuring our latest boiler models and plan view configurations. Bringing leading-edge technology and engineering to the industrial boiler marketplace, the Hurst comprehensive CAD portfolio provides a workflow advantage by streamlining planning and design to deliver higher-quality projects. Offering an industry solution that gets the right information to the right people at the right time enables Hurst, as well as our customers, to innovate and compete. 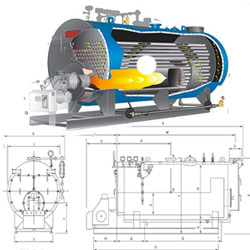 View the Hurst Boiler integrated CAD Download Solution, and begin selecting Hurst Boiler models for download.